THE AGONY AND THE ... ADDITIONAL AGONY Azabal plays an Arab woman subjected to a pitiless and pointless succession of horrors. It’s taken ages for this year’s Canadian Best Foreign Language Oscar nominee to make it to the area, and, having at long last gotten a look at it, I am left with a single burning question: Couldn’t it have taken longer? Seriously, why anyone outside the dwindling society of professional film critics would subject themselves to this overlong cavalcade of generic Middle Eastern horrors is beyond my comprehension. You couldn’t pay me to sit through a movie like this if you weren’t, you know, paying me. Québec-born writer-director Denis Villeneuve has a news flash for us: The cycle of sectarian violence that has plagued that part of the world for decades is a bad thing. 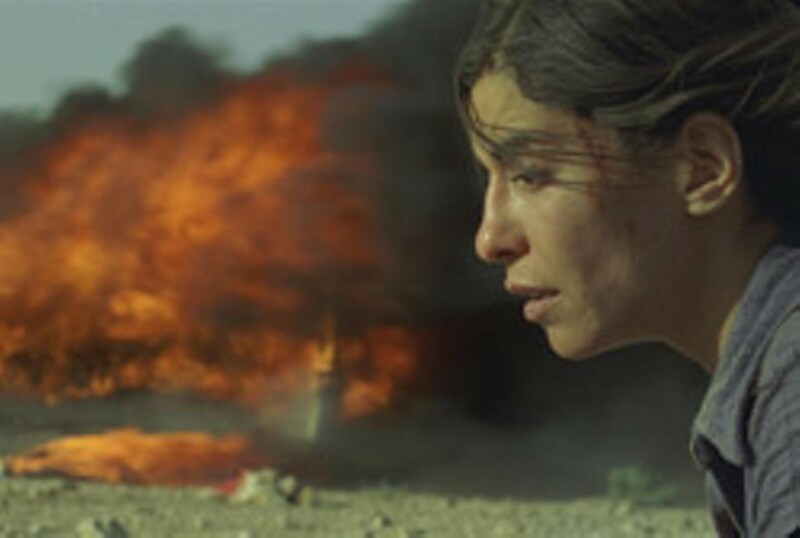 To illustrate this point, he’s reconfigured Wajdi Mouawad’s 2003 play Incendies — a series of poetic monologues — into a bludgeoning and vastly unpoetic melodrama in which bad things happen to an Arab woman. The story is told on two tracks. In the present day, a grown brother and sister living in Montréal have learned that their recently deceased mother neglected to fill them in on several key points of her biography. Jeanne (Mélissa Désormeaux-Poulin) and Simon (Maxim Gaudette) are left sealed envelopes to be delivered to a father they believed was dead and a brother they never knew existed. The task requires them to retrace the path of the woman’s life, piecing together the puzzle of her past by visiting the region where she grew up. The country is never named but is clearly a stand-in for Lebanon, from which the playwright and his family fled when he was a child. The filmmaker flips back and forth between their improbable field trip and flashbacks to their mother’s early life. Lubna Azabal stars as Nawal Marwan, a Christian Arab who came of age at a time when religious tensions had exploded into civil war. A typical day, for example, includes her Muslim boyfriend being shot in an honor killing by her brother. Needless to say, the young woman is not greeted by a tsunami of tolerance when the zealous locals learn she’s pregnant. She’s forced to give up the child and then spends the rest of her life trying to find him. In the course of her quest, she’s subjected to all manner of atrocities. Nawal narrowly escapes when Phalangist fighters set fire to a bus full of Muslim civilians. After becoming a political activist, she is sent to prison, where she’s tortured and raped. Then, just when you’re sure the film’s creators couldn’t possibly make life any more nightmarish for her — or the viewer — they unveil a surprise twist so stomach turning it threatens her sanity. Not that it’s remotely believable. In fact, it’s the kind of final-act gimmick that M. Night Shyamalan might be tempted to tack on but then decide is simply too over the top. Movie-critic law prohibits my even hinting at the nature of the film’s big secret, but what I can say is that it’s an even bigger secret why anyone would for a minute consider this self-serious exercise in miserabilism Oscar material. The dialogue is stilted, the acting at times wooden and the script as barren of insight as the desert locations are of greenery. What’s the point here? For an excruciating two hours-plus, Villeneuve subjects his audience to random examples of man’s inhumanity to man, brutal acts committed by feuding barbarians in the name of their gods. To what end? Turn on the TV. Pick up a paper. The guy’s not exactly telling us the news. Incendies may translate loosely as “scorched,” but I left the theater feeling merely burned.